Today, almost all people have a smartphone and that makes photography a simple action. All you need to do is take out your mobile phone and focus on what you want to capture. As digital photos penetrate, people are more likely to add cool photo effects to make them unique before sharing on Facebook, Instagram and other social networks. PhotoFunia is such a photo editor that offers plentiful photo effects. It could help you add cool photo effects to your pictures online or on mobile phone within a few seconds. To help you learn about this photo editor, we are going to show you key features and review about PhotoFunia. Moreover, you can grasp more photo editors similar to PhotoFunia. 1. Use face recognition technology to analyze face and blend with the templates. 2. Add cool photo effects and make funny image montages. 3. Supports commonly used image formats, like JPG, PNG and GIF, image size up to 500KB. 4. Collect over 70 funny photo templates and update frequently. 5. Integrate both web app and mobile apps for iOS, Android and Windows Phone. 1. PhotoFunia is easy to use, no matter the web app or mobile app. 2. All features are free of charge. 3. It does not request registry. 1. There are random upload errors, which cause the photo editor crash. 2. The face recognition technology is not accurate sometimes. 1. Make your selfies to artwork with plentiful of photo effects. 2. Adjust the parameters about various photo effects. 3. Offer basic photo editing tools to edit personal photos as you wish. 4. Enhance images by adjusting contrast, color balance and more. 5. Create collage with extensive templates. 1. Similar to PhotoFunia, PicsArt Photo Studio is a freeware. 2. It is not only a photo editor, but also a photography community to share photos and learn from others. 3. The interface is well designed and easy to navigate. 1. It does not support to export photos in full resolution. 2. The push notification is annoying. 1. Offer both web app and mobile apps for iOS and Android. 2. Add photo effects and filters to make your pictures special. 3. Provide basic editing tools to crop, resize, or trim your pictures. 4. Apply stickers, text and other elements on photos. 5. Adjustable parameters could help you correct and enhance images. 1. This PhotoFunia alternative has both free version and paid one. 2. And you can use it on the website or mobile app. 3. This photo editor is lightweight and loading fast. 1. The output quality is not as great as it claims. 1. This PhotoFunia alternative is able to blend two pictures together to create face montage effects. 2. You can apply the built-in photo effects to your photos. 3. It also has the ability to create photo collage with your pictures. 4. 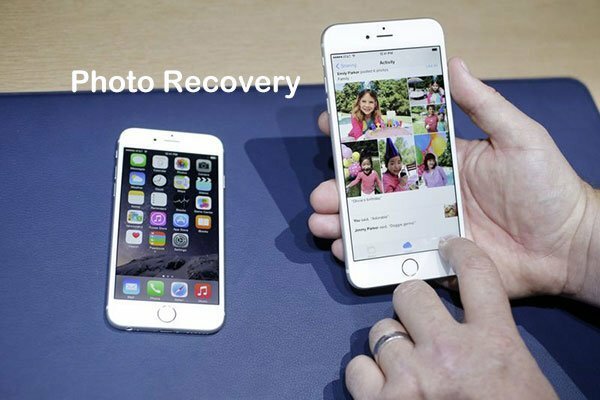 After editing, users could share photos to social media in full resolution. 5. It has all essential photo editing tools. 1. This photo editor has more than 500 photo effects. 1. You have to access push notifications to exchange free features. 1. This PhotoFunia alternative integrates photo effects, frames, editor and filters. 2. It allows you to upload your selfies and create a funny face photo with the templates. 3. All photo effects organize in categories. 4. The face recognition algorithm makes it easy to use. 5. It also offers a mobile app for Android. 1. There are hundreds of templates. 2. All photo effects and editing tools are free of charge. 1. The photo uploading is slow. 2. You cannot adjust the results. 1. Offers extensive templates and effects to make your selfies unique. 2. Update new templates frequently. 3. All templates and photo effects are in high quality. 4. You can adjust the result in various sizes. 5. Detect your face and combine it with the templates automatically. 1. The interface is user friendly. 2. It has plentiful awesome camera effects. 3. The output quality is good. 1. This PhotoFunia alternative lacks some necessary features, like editing tools. In this article, we have introduced PhotoFunia, one of the best photo editors to create funny face photos. Though it is not a perfect photo editor, PhotoFunia is worth to use on the whole. Moreover, it has both web app and mobile apps, which is another reason that PhotoFunia is prevalent. On the other hand, we have identified top 5 alternatives, PicsArt Photo Studio, BeFunky Pro, Photo Lab Picture Editor FX, Photo Face Fun and PIP Camera. You can choose your favorite photo editor from our list and decorate your photos on iPhone, Android or online. Create Photo Mosaic Just in Few Clicks.